Here is a short video from this weeks seminar where Henrik tries out the HTC Vive (Virtual Reality). We have converted a point cloud created from drone images to the virtual reality environment. On the screen in the background you can see what Henrik sees in the headset. With the headset on you head, you see it all in 3D as well. 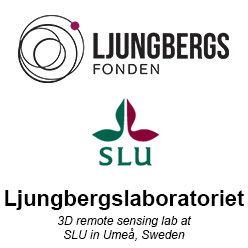 Next weeks seminar will be given by students from Umeå University who is developing a platform for a mobile laser scanning system. They will give an overview of their work so far. More information about the seminars.